The event marked the one-year anniversary of the launch of the guide, Pro Bono Legal Work – A Guide for In-house Corporate Lawyers, a joint initiative by the Centre, Law Society of NSW and Association of Corporate Counsel (ACC) Australia to encourage participation by in-house corporate lawyers in pro bono legal work. 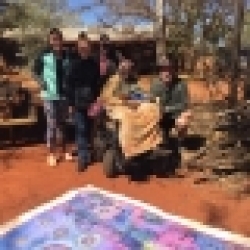 The guide is available on the Centre’s website here: https://www.probonocentre.org.au/in-house-guide/. This year’s event featured a sterling line-up of speakers discussing the relationship between legal pro bono work and corporate social responsibility and showcasing existing in-house corporate legal pro bono programs. 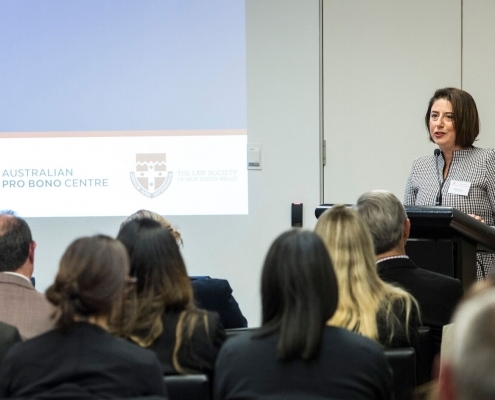 Representatives from the Association of Corporate Counsel, the Law Society of NSW and the Centre also spoke in support the development of in-house pro bono programs and policies, highlighting the many benefits of involvement for both staff and corporations. 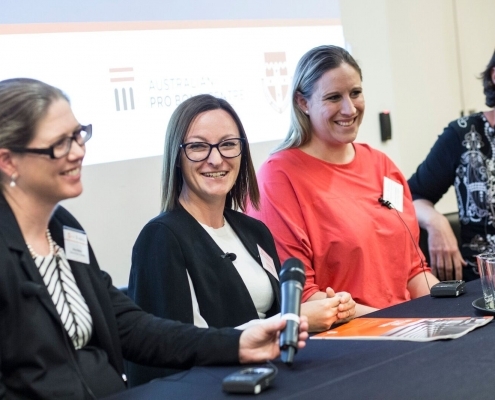 Lori Middlehurst, Vice President of ACC Australia’s NSW Division, highlighted the importance of connecting the willing to the legal need, helping to form an ‘ethical supply chain’. Dan Creasey, Head of Pro Bono and Community Impact at King & Wood Mallesons, spoke about the link between legal pro bono work and corporate social responsibility, the Sustainable Development Goals and UN Global Compact. He highlighted the importance of creating a narrative and ‘whole of organisation’ approach to pro bono and community engagement initiatives and of keeping pro bono work relevant. “The partnerships worked so well because everyone had the same goal, so the approach was very collaborative”. Lauren also stressed the importance of starting, as opposed to waiting, until conditions seem perfect for doing pro bono work. Ailsa noted the importance of having pro bono ‘champions’ within an organisation, who are senior and willing to help build support for legal pro bono. Rania Tannous, Senior Legal Counsel at AMP, discussed the organisation’s pro bono legal work for the Cancer Council and noted that features of a successful start-up in-house pro bono program include regularly speaking to members of the in-house legal team to gauge interest, starting small, and meeting with panel law firms to benefit from their experience and assistance. Rania also mentioned how much she utilised the guide, Pro Bono Legal Work – A Guide for In-house Corporate Lawyers, to help her form a strong pro bono program. In-house counsel representing a considerable number and wide variety of corporations and industries were present at the event, including UBS, Deloitte and Pepsi Co. Many attendees expressed enthusiasm for pro bono work, and a strong desire to establish robust in-house programs to encourage participation. The Centre would be delighted to hear from any in-house corporate legal teams looking to establish or further develop legal pro bono programs. It is hoped that a follow-up event will be held in 2019.